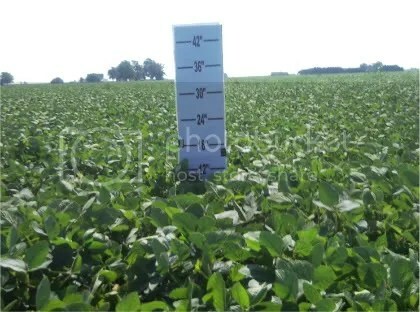 Some farmers are concerned that the smaller growth of soybeans could result in reduced yields. Some are questioning the use of foliar fertilizers and/or fungicides to help make up the difference. Soybeans were planted late across the area. 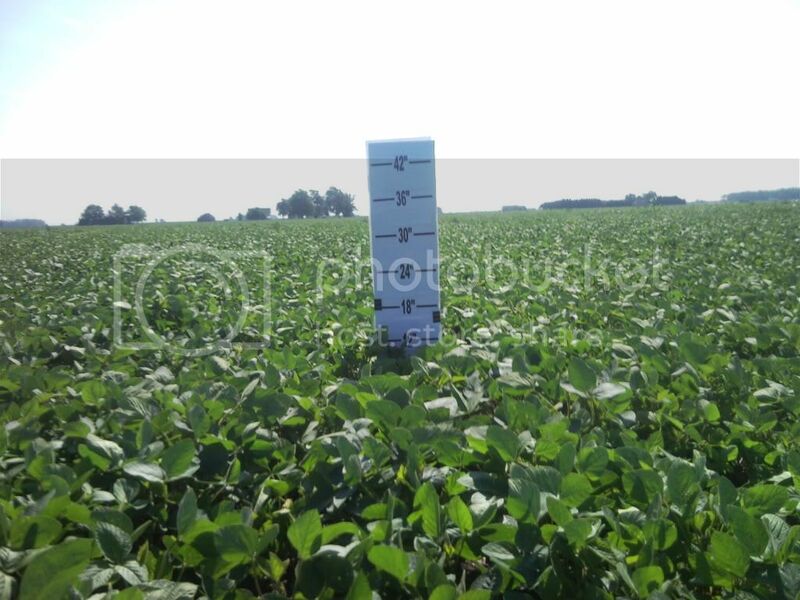 Most farmers’ and agronomists’ (including my own) “internal clock” says that soybeans should be larger by now. Most years, that is correct. This is not most years. What a difference a year makes! Notice last year’s soybeans below. Some soybeans are flowering, growth stage R1, and some soybean are beyond that stage. The cooler temperatures combined with later planting dates will cause smaller plants. The smaller plants could be a concern if rows are not closed in shortly after flowering. 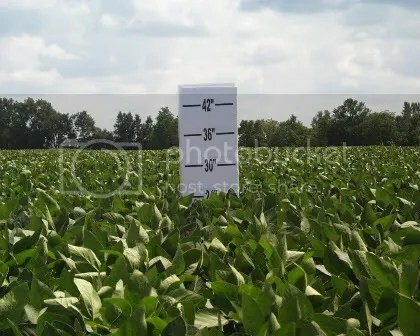 If the rows are not closed and the soybeans begin to flower, then yield potential is likely lost. This brings us to the main question: will a foliar fertilizer or a foliar fungicide help? The short answer…probably not. Fungicides will not improve the speed at which soybeans grow and will not help with canopy closure, in the absence of a disease. Fungicides will help soybeans retain leaves, especially if a disease is present in the field. However, the cooler night temperatures and the smaller soybean plants both contribute to less of a threat from diseases this season. Foliar fertilizers will not compensate for lower temperatures. They will not increase the speed of growth, assuming P2O5 and K2O levels are adequate in the field. They will make the plants greener and that might make someone feel better. If you are absolutely set on spraying something, then consider a foliar fertilizer. It will likely make the plants greener and it should cost a little less than the fungicide. The bottom line is that small soybeans or late-planted soybeans that do not reach full canopy by flowering probably have lost some yield potential. Cooler temperatures also reduce the chances of soybeans reaching full canopy by flowering. Foliar fertilizers and fungicides will not make up the difference in temperatures, planting date or row spacing. However, a foliar fertilizer may alleviate some of the yellow soybean symptomology we are experiencing, although that application may not necessarily translate into increased yields. Entry filed under: fertilizer, soybeans. Tags: foliar fertilizer, foliar fertilizer soybeans, fungicide application soybeans, short soybeans.